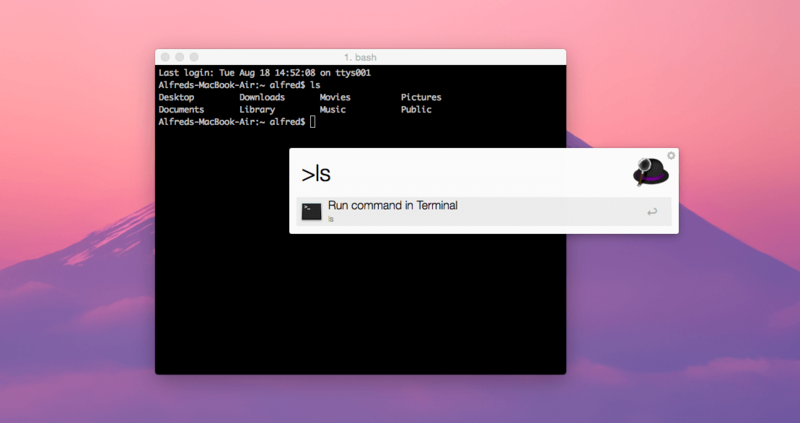 iTerm is a popular alternative to Terminal, offering additional features to the default Mac OS X terminal and shell application. With the upcoming release of Alfred 2.7.2, the default iTerm integration has been replaced by the "Custom" scripts option. This allows for a more up-to-date and more flexible way to handle the iTerm integration, using scripts created by one of our fantastic users, Stuart Ryan. As iTerm now supports two different ways to integrate, depending on which version you're using, you'll be able to choose the appropriate script for your needs. You can find some excellent iTerm integration AppleScripts for the older and newer versions of iTerm on Alfred user Stuart C Ryan's Custom iTerm Applescripts for Alfred Github page. If you're currently using the "iTerm" option in Alfred's Features > Terminal preferences, you'll need to switch to the "Custom" option and copy in the relevant script. You can do this in the current version of Alfred, and it'll be seamlessly migrated to the next version. You'll then have the flexibility to change the script if you switch iTerm version in the future. Stuart has even created a helpful video on using the new iTerm scripts, so if you're not sure how to add the custom script for iTerm to your Alfred preferences, watch the video or pop by the Alfred forum thread for the integration.